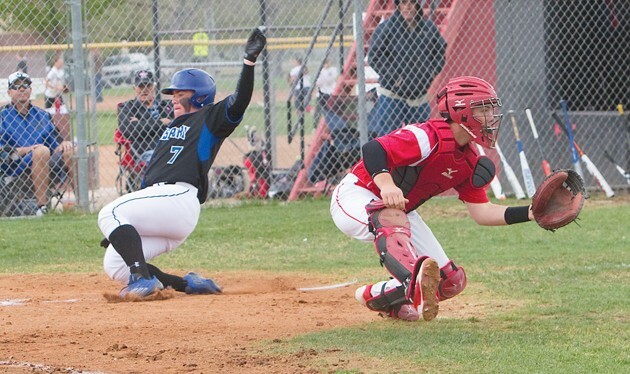 Stansbury left fielder Jordan Donadio (7) slides safely into home plate as Grantsville catcher Burke Boman waits for the ball. 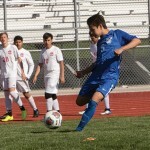 Stansbury beat Grantsville 9-5 in Wednesday’s Region 11 matchup. Grantsville second baseman Christian Kelley tags out Stansbury’s Mitch McIntrye trying to steal second base during the fourth inning of the 9-4 loss in Grantsville on Wednesday. 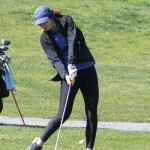 Stansbury had a 1-0 lead after the first inning and hit through the lineup as part of a four-run second en route to 9-4 victory in Grantsville on Wednesday. But it wasn’t all that pretty, despite the win. The Stallions made five errors, only two of which led to a Grantsville run. Stansbury head coach Ray Clinton said he wasn’t necessarily pleased with his team’s performance. It was sloppy on both sides. In the top of the first inning, Stansbury center fielder Mitch McIntyre reached on a fielder’s choice and stole a pair of bases before crossing the plate on an errant throw from Grantsville catcher Burke Bowman trying to pick him off going to third. In the bottom half of the frame, Grantsville leadoff hitter Wyatt Barrus hit a single that turned into a little league-style home run after a pair of throwing errors to make it 1-1. With the bases loaded thanks to a couple walks, McIntyre hit a single into left field that scored a pair of runs and moved right fielder Gavin Skogg to second base. The pair each advanced one base when Barrus balked from the mound. Catcher Kyle Lindsley drove the pair in shortly before the inning ended to make it 5-1 Stallions. Grantsville looked like it may have some life in the bottom of the third. Right fielder Kyle Peterson bunted with the bases loaded and scored first baseman Riley Jensen. Designated hitter Brayden Peterson reached on an error in the next at bat, and the play was good for another pair of runs to make it 5-4 after three innings. The Cowboys had runners on third base twice more — Jensen in the bottom of the sixth with one out and Kyle Peterson in the seventh with two — but couldn’t produce any more runs. Stansbury, meanwhile, had a rally of its own in the fifth inning. Shortstop Clay Matthews led off with a walk and scored when third baseman Jake Colovich hit a triple. Left fielder Jordan Donadio laid down a bunt that allowed the big third baseman to score in the next at bat, and Donadio reached on a throwing error to first — though he might have beaten the throw anyway — and was awarded second base when the ball went out of play. Second baseman Garrett Petersen had an RBI double from the No. 9 hole to bring in the last run of the inning, and the Stallions blew the game open 8-4 with the three-run inning. 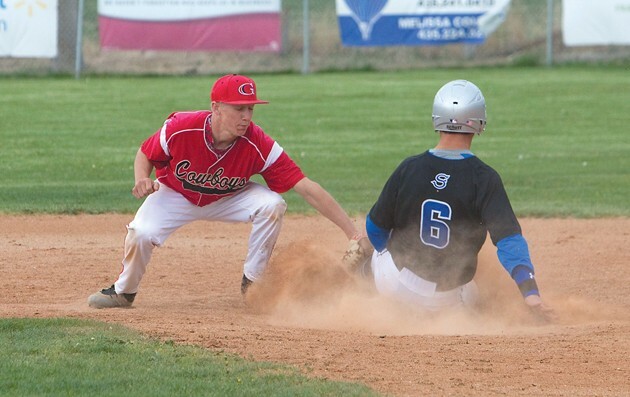 Through all of that, Grantsville catcher Burke Boman caught three Stallions trying to steal second. The Stallions scored once more in the top of the seventh to win 9-4. Manzione had six strikeouts in seven innings and earned the win. 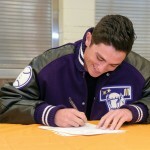 He allowed eight hits and walked four batters, allowing one earned run. Barrus allowed 10 hits and walked seven batters in seven innings, striking out three in the loss. Stansbury is now 11-7 and 8-2 in Region 11, and has all-but secured the No. 2 seed in the state tournament. Grantsville is 6-3 in region and will likely finish third. The Cowboys will next face Tooele at home for senior night on Thursday, while Stansbury will take on Bear River on the road. Both games are scheduled to begin at 3:30 p.m.